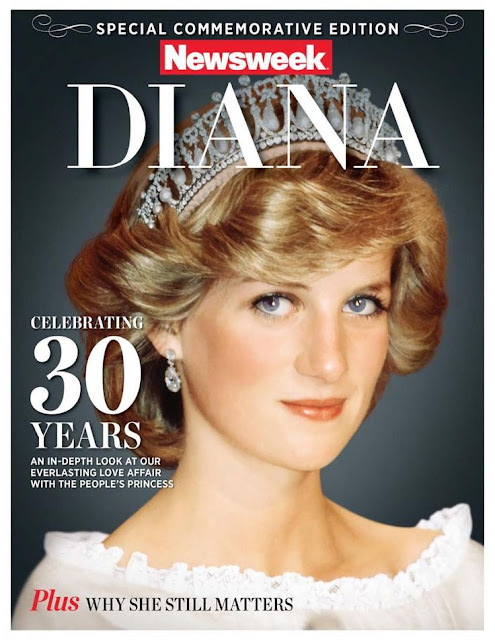 Diana, Princess of Wales, was widely admired, in her native England and abroad. The shy 20-year-old who married Prince Charles and became a princess blossomed into a confident and socially conscious woman who worked with causes including homelessness, removal of land mines, and HIV and AIDS awareness. She took a nontraditionally hands-on approach to raising her sons, Prince William and Prince Harry, endearing herself to the public as she traveled with them and devoted herself to their care. The world mourned at her shocking death in a car accident at 36. We remember Princess Diana's life today as well as the lives of other notable people who died this day in history. Click to discover notable people who were born this day in history including the cool James Coburn. 2014: Jimi Jamison, U.S. singer who was a member of Survivor and sang on their hits including "Is This Love?" and "Burning Heart," dies at 63. 2013: David Frost, English journalist and television host known best for his 1977 interview with former President Richard M. Nixon, dies of a heart attack at 74. 2012: Joe Lewis, U.S. kickboxer, karate fighter, and actor who is considered one of the greatest fighters in karate history and who acted in martial arts films, dies of a brain tumor at 68. 2007: Gay Brewer, U.S. professional golfer who won 10 PGA titles including the 1967 Masters Tournament, dies of lung cancer at 75. 2004: Carl Wayne, English singer who was the lead vocalist for the rock band the Move during the 1960s and joined the Hollies much later in that band's history, dies of throat cancer at 61. 2002: Lionel Hampton, U.S. jazz vibraphonist who is considered one of the great names in jazz history and played with Benny Goodman, Buddy Rich, and Charlie Parker, dies of complications of old age and a heart attack at 94. 2000: Patricia Owens, Canadian-born U.S. actress known best for her role as the wife of scientist Andre Delambre in the sci-fi horror classic "The Fly," dies at 75. 2000: Lucille Fletcher, U.S. author and screenwriter whose work included the film noir classic "Sorry, Wrong Number," dies at 88. 1997: Princess Diana, English princess of Wales who was the first wife of Prince Charles, dies in an auto accident at 36. 1990: Nathaniel "Sweetwater" Clifton, U.S. professional basketball player who played with the Harlem Globetrotters and became the second African-American to sign with an NBA team, dies at 67. 1979: Sally Rand, U.S. burlesque dancer and actress who was famous for her fan and bubble dances, who also appeared in many silent movies, dies of congestive heart failure at 75. 1973: John Ford, U.S. movie director who won four Academy awards and whose classic films include "Stagecoach," "The Searchers," and "The Grapes of Wrath," dies at 79. 1969: Rocky Marciano, U.S. professional boxer who was the world heavyweight champion from 1952 until 1956 and was undefeated during his career with 49 victories, including 43 by knockout, dies in a plane crash at 45. 1968: Dennis O'Keefe, U.S. actor who appeared in many B-movies and had his own sitcom on CBS in 1959, dies at 60. 1948: Billy Laughlin, U.S. child actor known best for playing Froggy in the "Our Gang" short films in the 1940s, dies in an accident at 16.